Be the first to receive matching businesses as they come on the market. 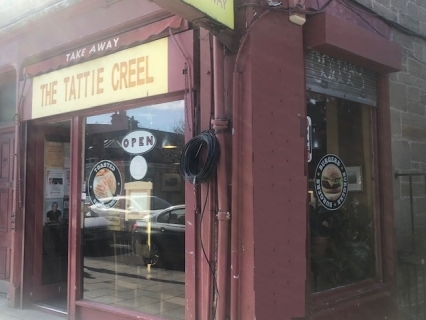 Central Business Sales are delighted to offer to the market a 40 year very successful restricted class 3 hot food takeaway. The current owners have run the business for the last 14 years and are only selling as they now wish to retire. They have built up an excellent reputation as one of the longest trading takeaways in the area. The owner run the business mainly as a baked potato shop but a new owner could add to the menu as the premises have a restricted class 3 licence so it is possible to cook on the premises (no frying). There is scope to increase the opening hours into the evening and to also offer a delivery service. The corner premises are approximately 42m² and are in good order. There is a seating area to the front with a good sized serving, display and preparation area to the rear. A fully equipped kitchen lies to the rear with all equipment, fixtures and fittings included in the sale. The business is being offered on a leasehold basis with offers in the region of £30,000. A brand new 10 year lease is available with rent at £12,000 per annum. The premises also benefit from 100% rates relief under the Small Business Bonus Scheme. The takeaway is run by the 2 owners and is open 08:00-16:00 Monday to Saturday. Freehold option may also be available. Copyright © 2019 Central Business Sales. All Rights Reserved.